A native of Chicago, Illinois, Kobie began as a small child listening and watching his father, Alious C. Watkins, playing drums in church. Kobie started with pots and pans as a toddler, and over time has developed a personal system of timely discipline and structure for music and life skills. 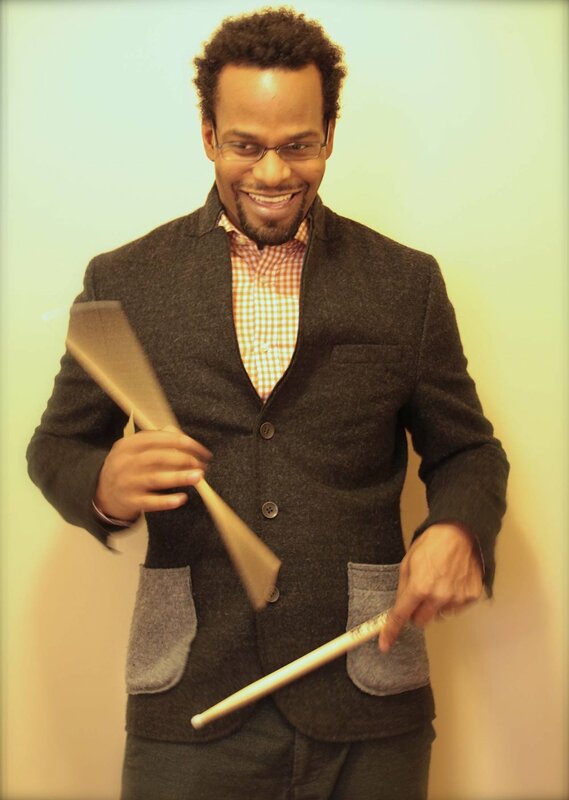 He has progressed into who he is today — professional drummer/percussionist and music/jazz educator. Kobie has cultivated dynamic relationships with his peers in and out of the Jazz, Latin, and Gospel community as a drummer, percussionist, and a mentor. Living out his commitment to music, he has played and recorded with a long list of great musicians: jazz legends Sonny Rollins, Joe Lovano, Branford Marsalis, Terence Blanchard, Curtis Fuller, Bob Mintzer, John Patitucci, Arturo Sandoval, George Coleman, Ira Sullivan, Sonny Fortune, Roy Haynes, Kurt Elling, Fred Anderson, Bobby Broom, Christian McBride, Roy Hargrove, Orbert Davis, Ken Chaney, Ron Perrillo, Bethany Pickens, Ryan Cohan, Jarrard Harris, and James Austin. Additionally, Kobie has performed with Gospel singer Kim Burrell, R&B and Neo Soul artists Julie Dexter, Javier, Kendra Ross, Chris Robinson, and many others. Kobie has toured extensively in Africa, Europe, Asia, Canada, South America, and the United States. He is currently a product level Artist with Sabian cymbals (05), Sonor Drums (09), Aquarian Drum Heads (10) Vic Firth Drum Sticks (12).